Perfect for entertaining, our outdoor gas heaters will create a warm and inviting atmosphere in any space. 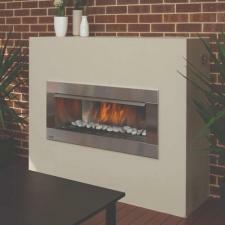 Whether you're searching for a Firetable or an Inbuilt fireplace, our range will suit all. Expand your outdoor entertaining area with the addition of an outdoor gas heater. Our range spans from stylish fire-tables to elegant inbuilt units. With the flames providing warmth and creating a peaceful atmosphere, there is no better way to add an extra element to your outdoor space.